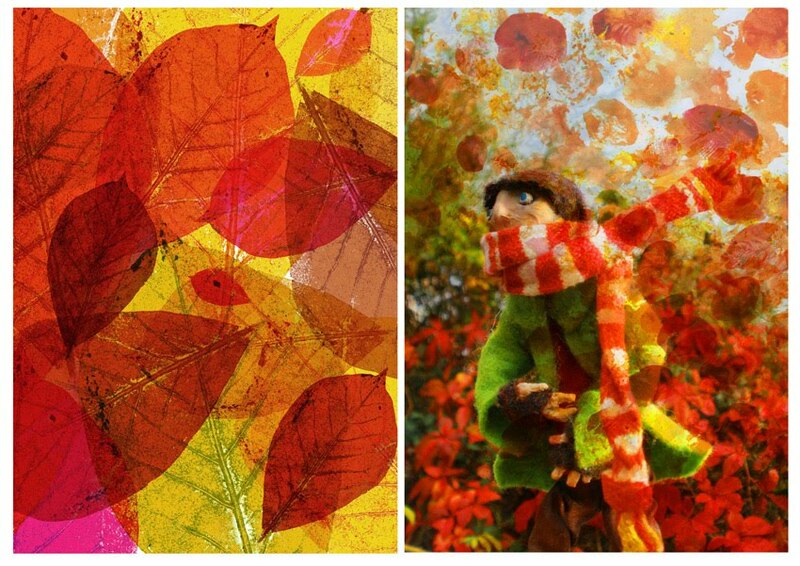 this is a collaborative piece of work which forms the colourful chilly month of October. It was produced for a 2010 calendar made by students in my year at UoP. The Leaves image on the left is by Sarah Bartlett.